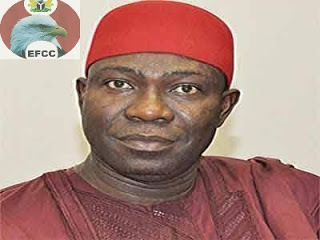 According to vanguard, Senator Ike Ekweremadu said yesterday that if war against corruption must be achieved in all its ramifications, there was the urgent need for the establishment of Special Anti- Corruption Courts. Senator Ekweremadu who noted that the setting up of such courts would help reduce the burden on regular courts and fast-track trial of corruption cases, spoke Tuesday when he was decorated anti- corruption ambassador by the Economic and Financial Crimes Commission, EFCC. According to him, setting up Special Courts was one of the surest ways to help in the fight against corruption, as that would also help ensure speedy adjudication of corruption cases. 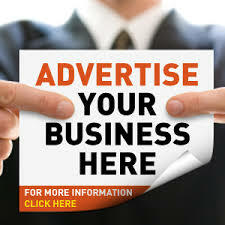 Ekweremadu said, "I have been an advocate of special courts for the trial of corruption cases and I believe that other countries, who have enacted laws establishing such, are not fools because there are benefits to be derived therefrom. The idea is to expedite trial to make sure that those who are involved in corruption matters will have their day in court. "When we have special courts, just as we have the National Industrial Court, such courts will do better than they are doing now. The establishment of special courts is not just something that will be done by an Act of the National Assembly. We have to amend the constitution to bring it about under section 6, for the purpose of trying corruption cases. While advocating for value reorientation of Nigerians at all levels, with a view to returning to values of the good old days, the Deputy President of the Senate also cautioned the EFCC to ensure that in fighting corruption, it must respect the rule of law and ensure that the provisions of the constitution regarding fair hearing and treatment of an accused are also respected. While thanking the EFCC for decorating him as an Anti-Corruption Ambassador, Senator Ekweremadu assured he would live up to the trust reposed in him, adding that the National Assembly would do everything within its powers to ensure that the Bills before it, aimed at strengthening the fight against corruption, got speedy attention. Earlier, leader of the EFCC delegation, Suleiman Bakari, appealed to the National Assembly to ensure adequate funding for the agency and advocated speedy passage of all the anti-corruption Bills before it.